← Torre del Mar: The Sun has Got His Hat On! It’s an exciting time to be in Málaga. 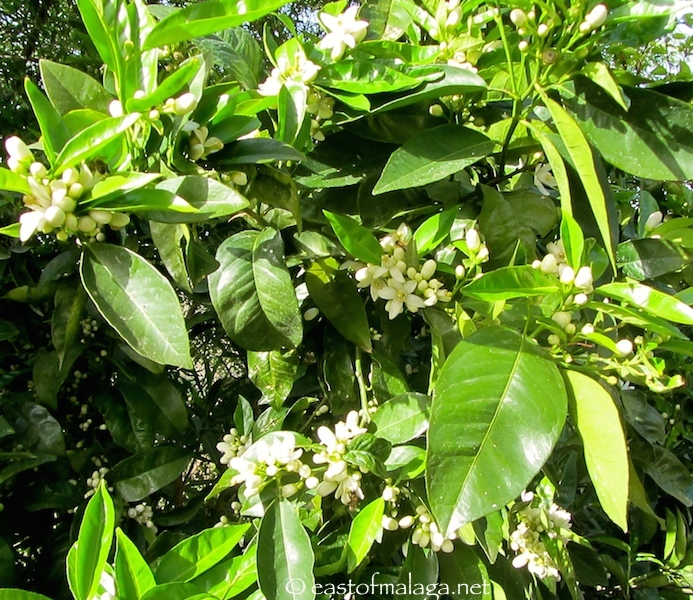 To add to the heavenly scent of the orange blossom (also known as “azahar”), this weekend sees the beginning of Holy Week – with incense wafting into the heady mix. 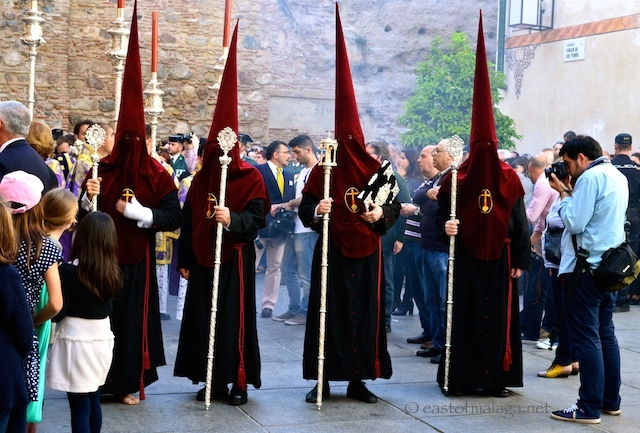 Semana Santa features seven days of religious passion and spectacle – not only in Málaga city, of course, but in every town and small village throughout Andalucía. Plus, one of Málaga’s famous sons returns each year to take part –YES, ladies, Antonio Banderas is in town! Málaga already has a well established art scene with its Picasso museum, Contemporary Art Centre and Baroness Carmen Thyssen museum, but this week has seen the city’s credentials as an Art Hub extending further, with the opening of the Russian State Art Museum from St. Petersburg. The Russian museum is housed in the beautifully restored Tobacco factory (Tabacalera) to the west of the city centre, near to the already popular Automobile Museum. And today, Málaga extends it’s cultural connections still further, with the opening of the Málaga branch of the Pompidou Centre – the first outside of France. Dubbed the Pop-Up Pompidou, the museum is housed underneath El Cubo, a huge glass cube in Muelle Uno – the city’s fabulous port area. Which museum will YOU visit first? This entry was tagged Andalucía, art, culture, Europe, lifestyle, Malaga, photography, Religion, Spain, travel. Bookmark the permalink. Great to see all this attention to Malaga’s growing art culture. Didn’t know the Colecciòn del Museo Ruso was open already and will be very eager to get inside the new Pompidou Centre. Wonderful pictures, Marianne. Thanks for sharing them. Great to see all these comments on the growing art culture of Malaga. The Centro de Arte Contemporáneo has been an impressive place for contemporary art, and the Picasso is of course very impressive. The Thyssen might be the first of its kind– a museum dedicated to Andalucian art (not sure if I’m right about this). I’ve seen the Cube but haven’t had a chance to see it open yet and am thrilled to hear the Colección del Museo Ruso is open! Your photos are wonderful, Marianne. Thanks so much for sharing. I don’t know of one, Josh – Málaga is a FAB city, going from strength to strength 🙂 I’m sure your friends are having a great time during Semana Santa in Málaga – it’s BUZZING! I’d want to see all three, any opportunity for soaking up some culture works for me ! 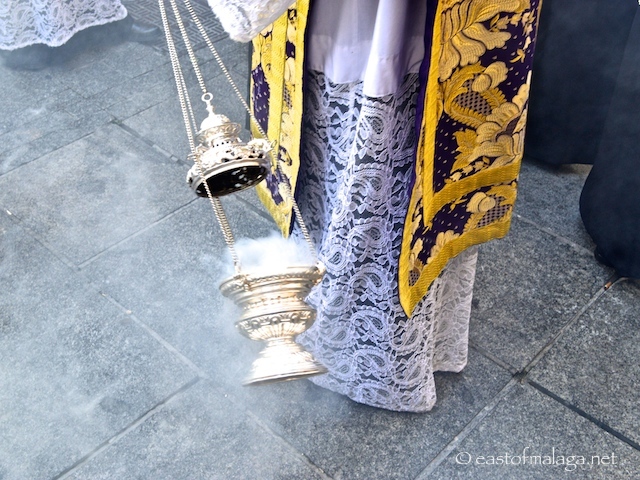 LOTS of processions – lasting around eight hours each! Of course you do, Shaun 🙂 Yay for another Málaga Getaway! Ooohh free? Maybe we’ll be off there tomorrow afternoon then! I didn’t know about the Russian museum. I’m not too crazy about museums, much prefer gardens, but I did want to see the Centre Pompidou sometime. I never even saw the original in Paris when I was there. Like I said, I’m not much into museums haha. Well, that’s what I’ve heard – you can test the theory for me, Serena 🙂 EDITED TO ADD: I can confirm that entry is FREE after 4pm each Sunday – I joined the crowds who enjoyed free entry around 6pm today. What a great cultural Centre you have there Marianne. The Pompidou centre is less my “thing” in all honesty (purely personal in that I am less moved by more modern works of art – but still incredible – blog post coming up shortly. 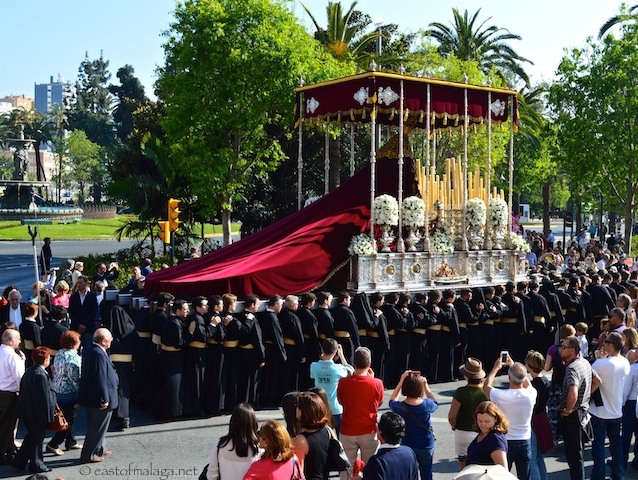 Just for info too, there are 7 days of processions in the city (not 8) – no processions on the Saturday between Good Friday and Easter Sunday (would hate for someone to journey into the city from your area on the Saturday and be disappointed!). Good news re free entry on Sundays after 4pm, Michael. Thanks for confirming just seven days of processions during the eight days of Semana Santa – with no activity on the day before Easter Sunday. I read your article about the Russian Museum – looks FAB! what a great choice you have. Definitely off to the Pompidou and the Russian museum very soon!